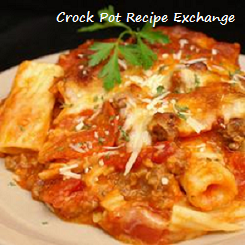 This crock pot spaghetti casserole comes from Rachel in Illinois. 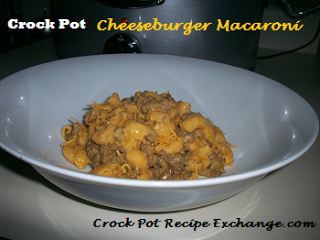 It sounds super delicious and like a definite crowd pleaser. Thanks for sharing Rachel! 1) Cook ground round and onion in a large skillet, stirring until beef crumbles and is no longer pink; drain meat, and return to skillet. Stir pasta sauce into beef mixture. 2) Melt butter in a saucepan over medium-low heat; whisk in flour until smooth. Cook 1 minute, whisking constantly. Gradually whisk in milk; cook over medium heat, whisking constantly, 8 minutes or until mixture is thickened and bubbly. Remove from heat, and stir in ½ cup Parmesan cheese and pepper. 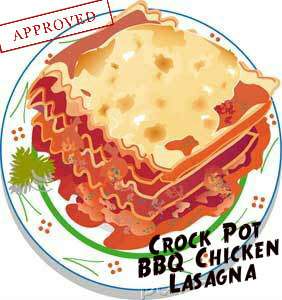 3) Spoon one-third of meat mixture into a lightly greased 5-quart slow cooker. Spread half of broken spaghetti over meat; pour half of white sauce over noodles, and sprinkle with 1 cup Cheddar cheese. Repeat layers once. 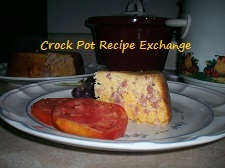 Spread remaining meat mixture over cheese. Top with remaining 1 cup Cheddar cheese. 4) Cover and cook on LOW 4 hours. Let stand 10 minutes before serving. Serve with Parmesan cheese. Makes 6-8 servings. *My Notes*1.) If you wanted to, you could omit step number 2 in the instructions and use a jarred Alfredo sauce (which you can find on the same isle as the marinara and spaghetti sauces).2.) My guess is since she has “cook on LOW” only, it would probably be a good idea to not try and cook it on high. There’s probably a very good reason she says that. Thanks again Rachel for sharing! This recipe shared at Saturday’s Party, What’s On Your Plate?, Tuesday’s Tasty Tidbits, Hearth ‘n Soul and Tempt My Tummy Tuesday. Crock Pot Baked Potatoes ~ My First YouTube Video!